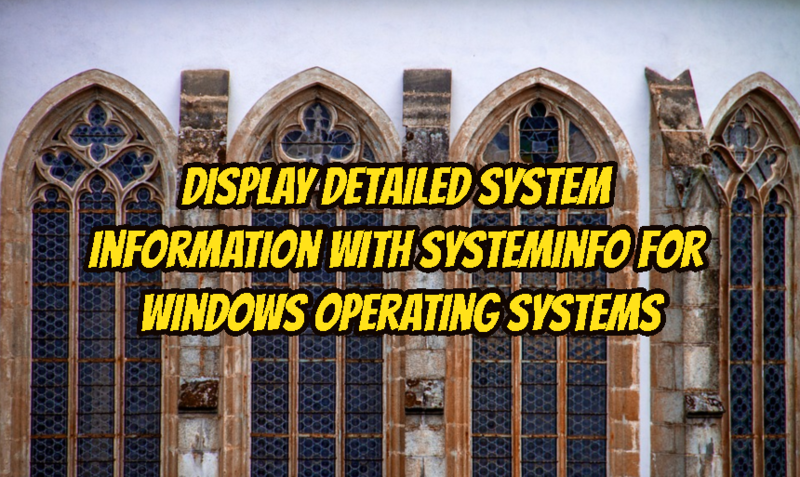 Windows operating system have a lot of third party tools used to get detailed system information like operating system, version, boot time, processor etc. 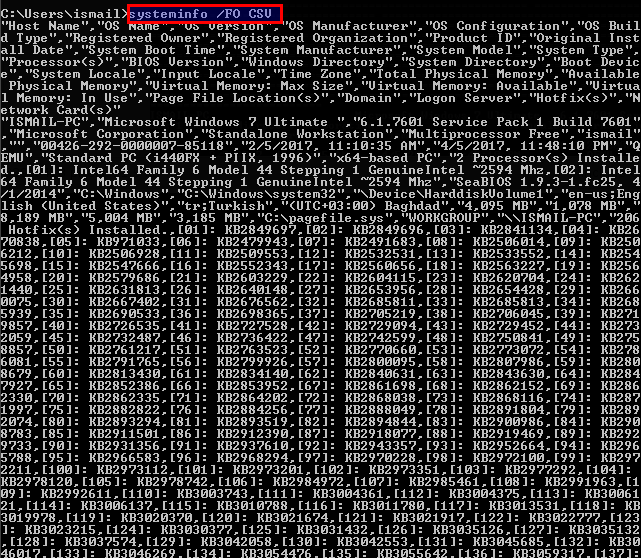 We will look simple single command systeminfo to get detailed system information. We will just issue the systeminfo command to get information about the computer. We will get following information about the computer. 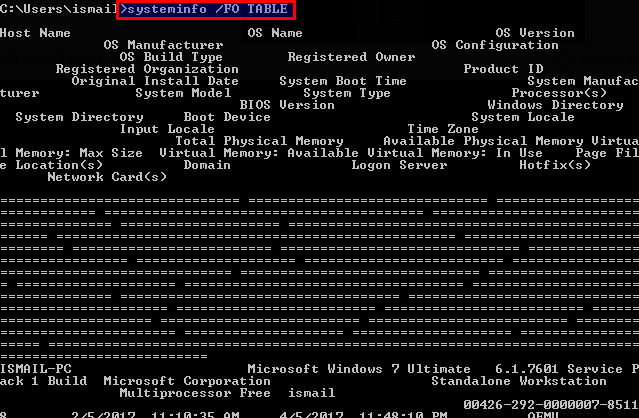 System information can be listed in table format with the following command. Another format for structured data reading is CSV. While using table and csv formatted output saving output to a file is more beneficial and useful. We will redirect CSV output to a file named systeminfo.txt where same thing can be done for the TABLE format. 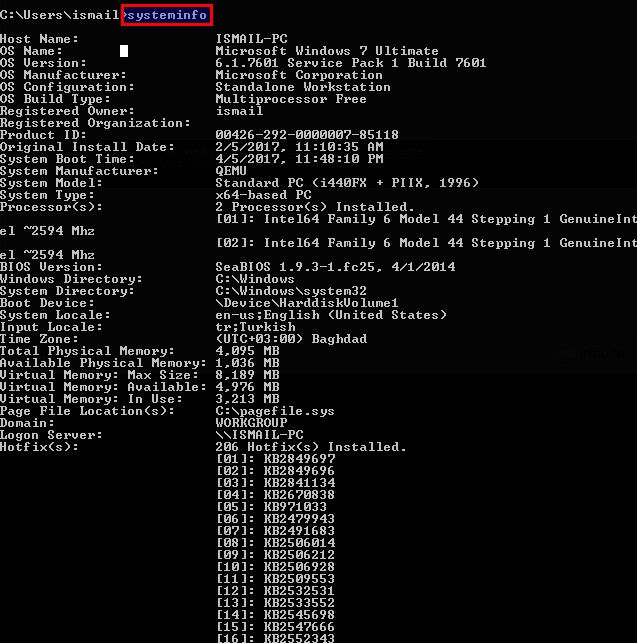 LEARN MORE How To Get CPU (Central Processing Unit) Info and Number of CPU's In Linux?